For the 2011 presidential election polling units across the country opened, but logistical challenges resulted in some opening late. 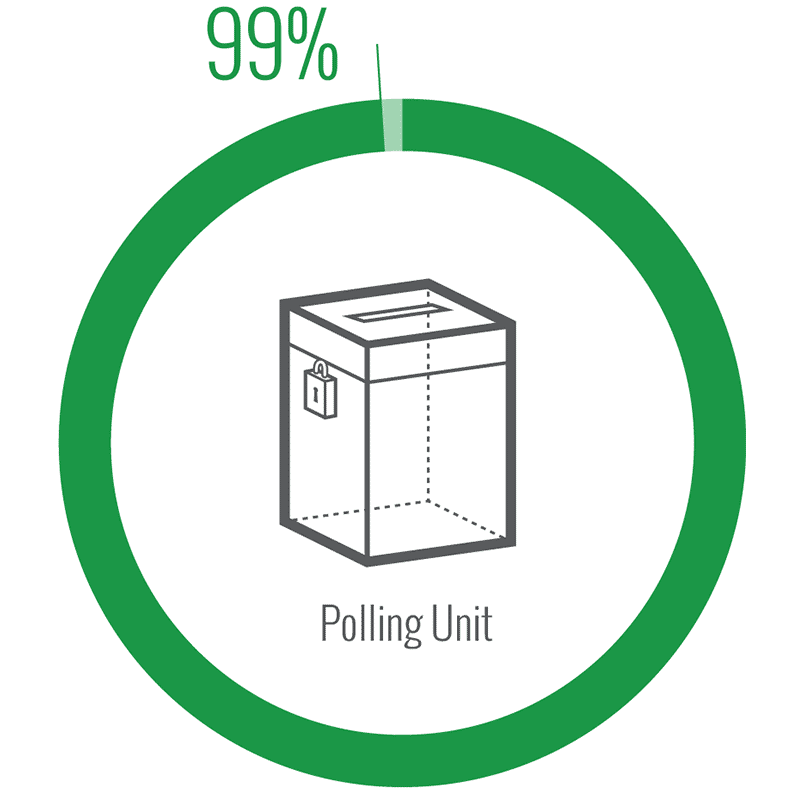 99% of polling units opened; a marked improvement over 2007 when many did not open at all. Not all polling units, however, opened on time. 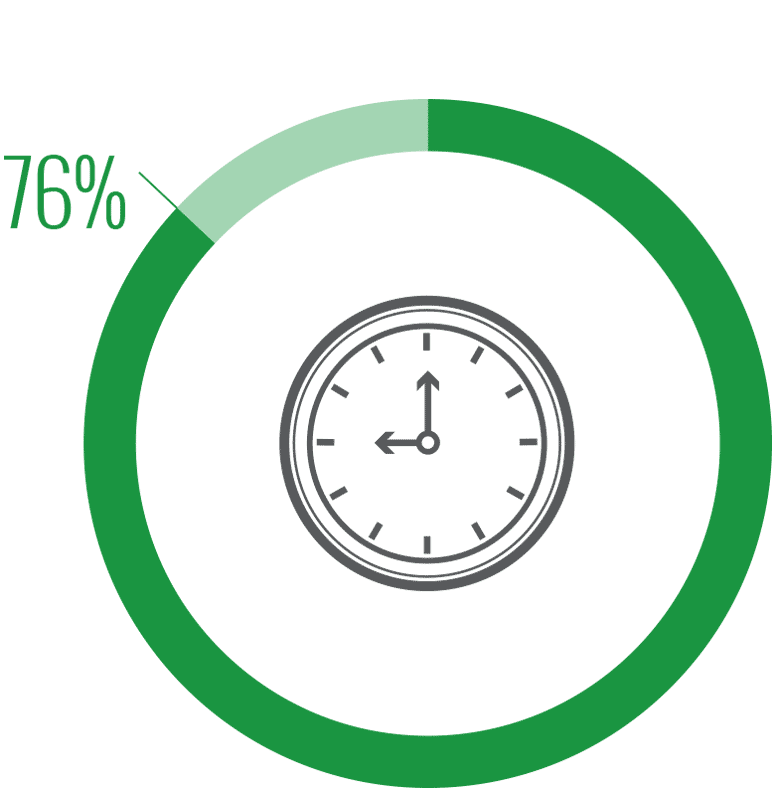 At 76% of polling units nationally accreditation began by 9:00am. 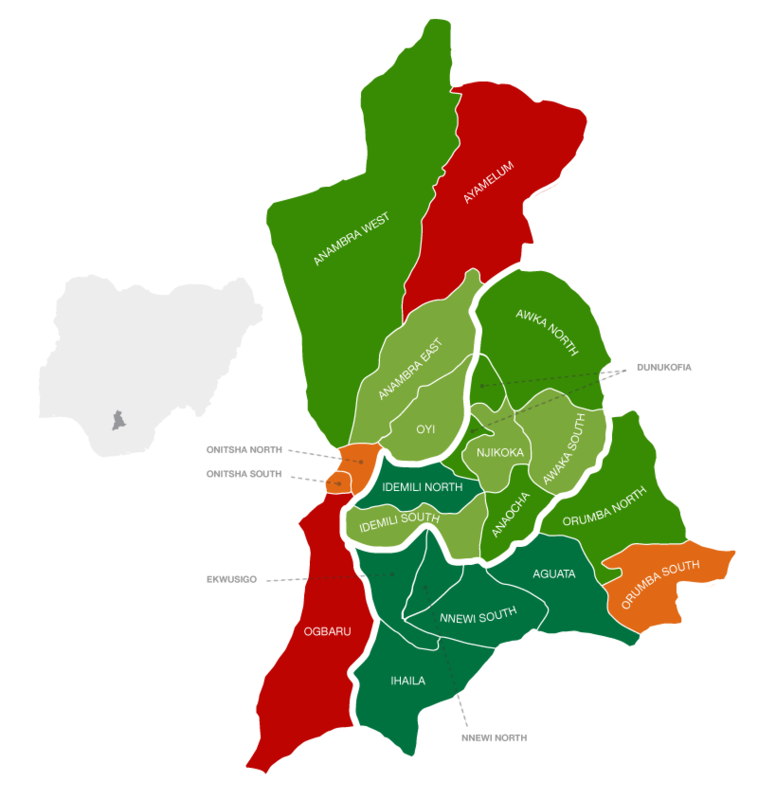 The above map shows the LGAs by their relative size. 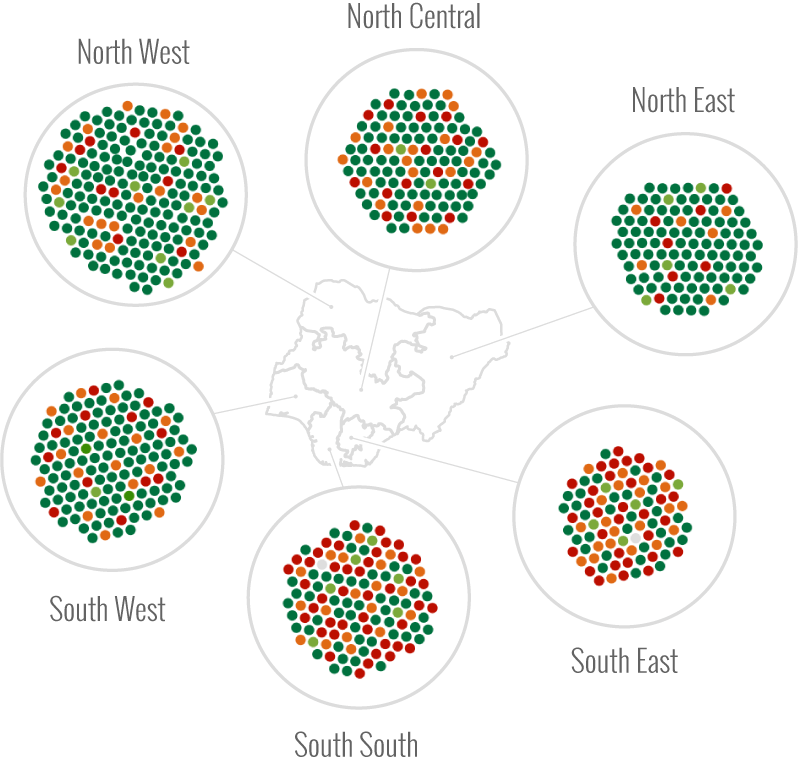 As a result, some of the smaller LGAs are not visible. The following illustration shows all LGAs as equal in size so that all are visible. 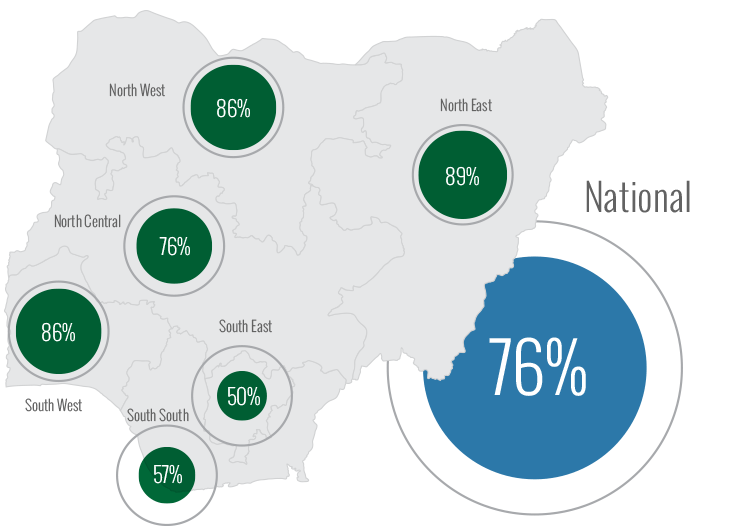 The 2007 elections severely undermined Nigerians’ confidence in the electoral process. 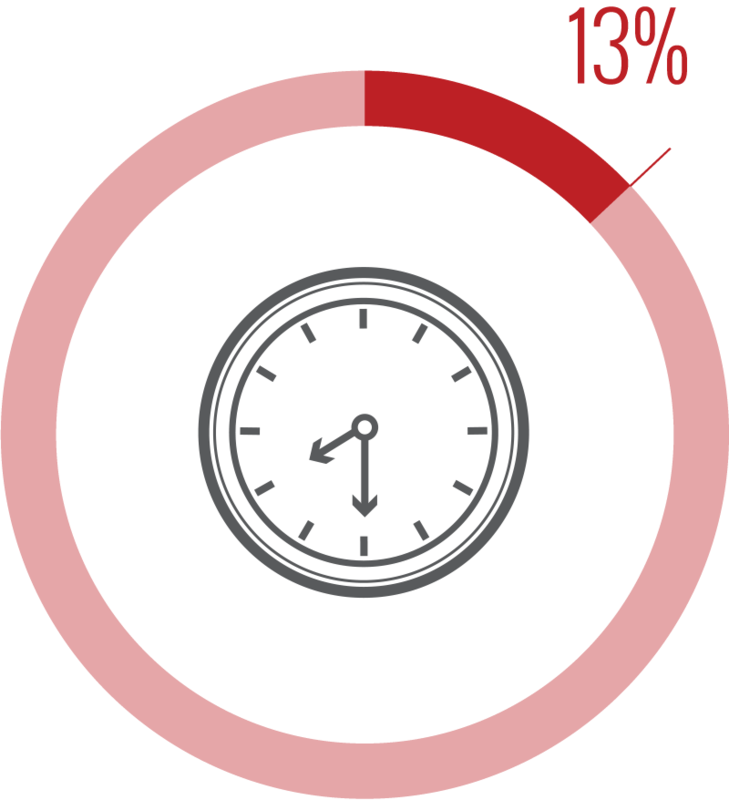 Large numbers of polling units never opened, but the elections went forward and results were announced. Consequently, Nigerian and international observers roundly criticized the process. National Assembly elections were held a week before the presidential elections. Initially, there was fear that these elections would be a repeat of 2007, as systematic reports showed polling units failing to open. However in an unprecedented move, INEC Chairman Professor Attahiru Jega cancelled the National Assembly elections at noon and ordered new elections, which took place a week later. The Anambra gubernatorial elections in South East saw polling units fail to open. Unlike in the past, INEC reran the elections in these polling units. This delayed the process, and undermined confidence in INEC in advance of the 2015 elections.